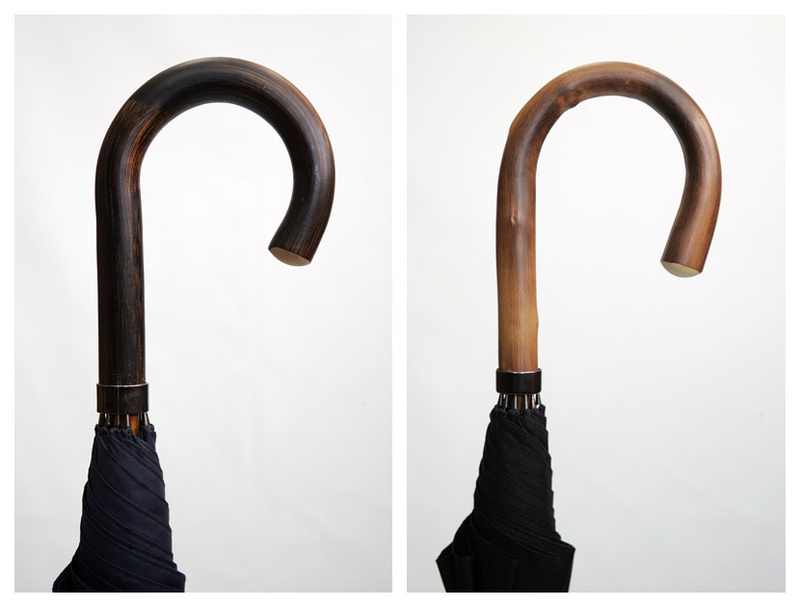 A strong, premium quality, wind-resistant umbrella. It has a natural wood shaft with a chestnut or malacca handle. Premium quality rustproof metal ribs, 61 cm or 63 cm in length. Manual opening. Colors: black, brown, dark blue, gray. 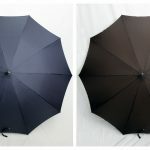 A fabulous quality, wind-resistant umbrella. 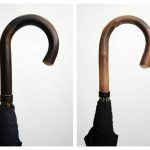 It has a rustproof metal shaft and a brown, genuine leather handle. With rustproof metal ribs, 63 cm in length. 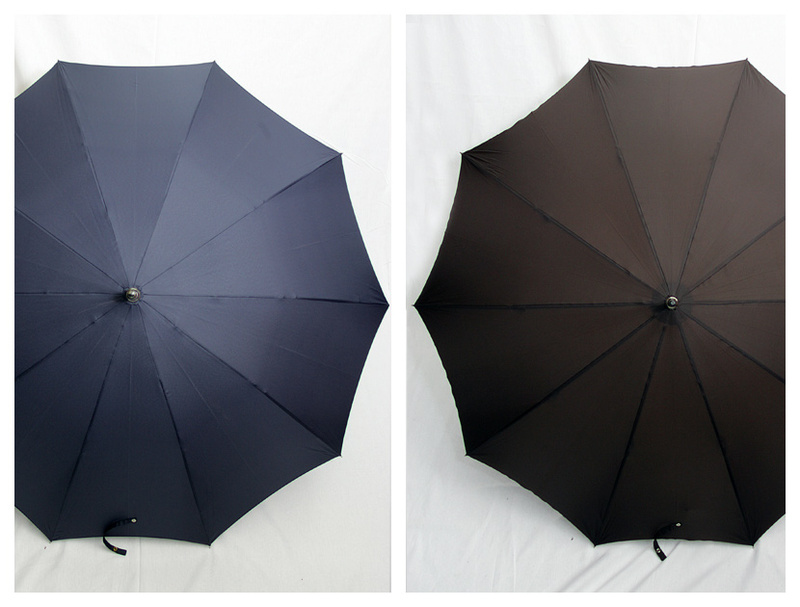 This umbrella is made from a high-performance polyester canopy. Manual opening. Colors: black, brown, gray.